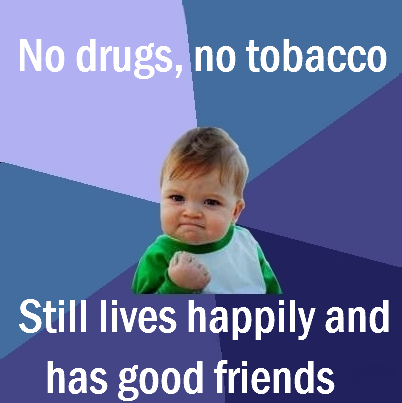 Say no to Tobacco, say no to drugs. Keep a healthy life. You don't have to quit, if you never start. 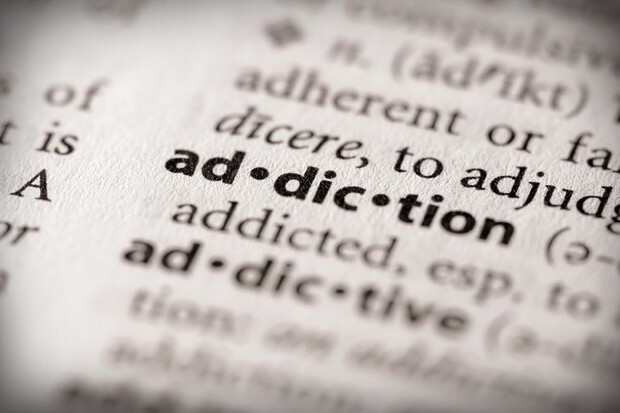 Addiction.- A condition in which a certain individual's body becomes dependent to a particular substance, thing or activity. We all know that drugs and tobacco can become addictive almost instantly, but we also know that they BOTH can affect our bodies and our lifes immediately . Tobacco, why is it so bad? Tobbaco.- A plant whose leaves are made to make cigarretes and chewing tobacco. Well, for one, smoking can make you lose your voice and chewing tobacco can cause leukoplakia, which is a disease in which leathery-white patches to grow on the gums, but there is probably many more consequences to smoking than chewing tobacco that are MUCH more serious and/or dangerous. Let me just tell you about some of the diseases you can get overtime by smoking tobacco. Wait a minute... so cigarettes contain... these?! 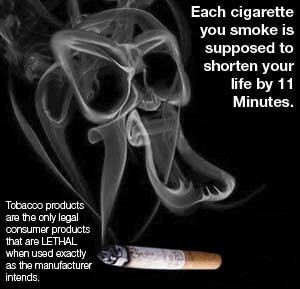 Cigarettes contain poisons. Yes, poisons. All the way from household chemicals to chemicals used in making bombs. These are only a few of the many poisons in just one cigarette. Now, would YOU like to have any of these chemicals in your body? Drugs, but ... they do it... why can't I? Drugs.- Any kind of substance that affects the way your body and/or mind works after being ingested, injected or somehow put into the blood stream. Drugs are most common among teenagers and young adults. But is there really anything 'cool' about slowly killing yourself with each pill you take, each liquid you inject, every poison you inhale or anything you smoke? Would you be able to live knowing that the next pill you take might also be the one that leads you to your death? I don't think you would want to even think about that. If you've ever heard of drugs, you've probably heard of the most common ones like cocaine and steroids, or the most popular-- marijuana. But that is not how drugs are classified, they are separated into groups, put together with other drugs that have similar effects. Depressants.- Decreases function of brain and respiration; causes drowsiness, poor concentration and lowered heart rate; also known as downers. Narcotics.- Contain opium or opium substitutes; legal narcotics can be given by a doctor to relieve severe pain. Hallucinogens.- Mind-altering drugs; causes hallucinations, flashback and visual and/or auditory breakdowns. Medicines.- Safe, effective and legal drugs used to cure or treat illness, disease or injury; FDA (Food and Drug Administration) determines the safety and effectiveness of OTC and prescription drugs. The Great Body Shop's "No Drugs! No Way!"